This special one-week bundle features over $600 in incredible games and books for just $30. 100% of your payments will go to the American Civil Liberties Union, the International Rescue Committee, and Doctors Without Borders/Médecins Sans Frontières (MSF). Humble Bundle will proudly match your contributions up to $300,000. …and more TBA! Wow that’s a long list! 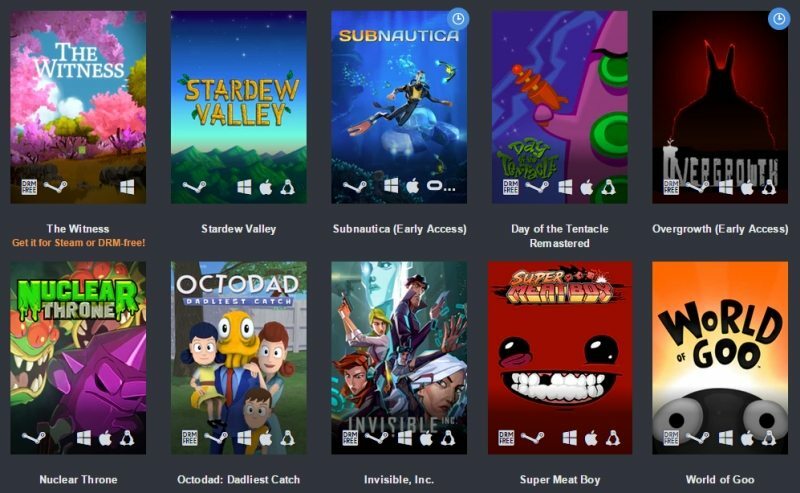 This is a pricey bundle ($30) but it’s worth the buy if you don’t already have the biggest hits such as The Witness or Stardew Valley. Redeem the games on Steam. All of the games in this bundle are available on Steam for Windows, and some for Mac and Linux too. A number of the games are available DRM-free as well.